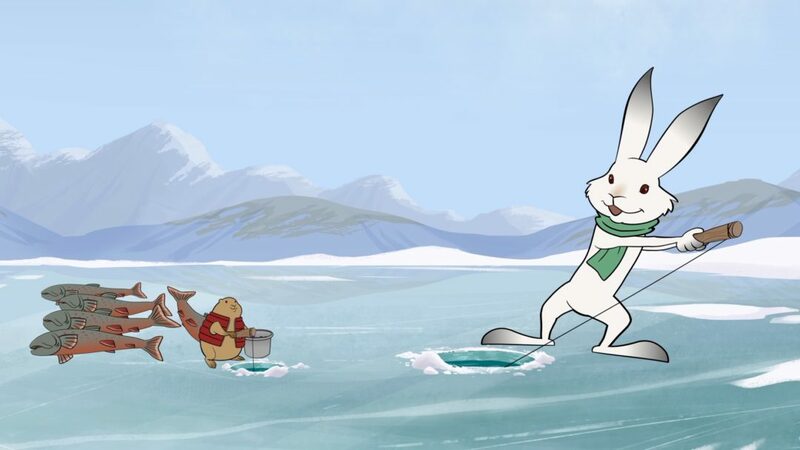 Ukaliq and Kalla Go Fishing tells the story of an ice-fishing trip taken by two unlikely friends—Ukaliq the Arctic hare and Kalla the lemming. Well-meaning but impatient, Ukaliq can’t catch a single Arctic char! Good thing Kalla is there. Embodying the calm, thoughtful nature of traditional hunters and those who live in the Arctic, Kalla shares his wisdom—and his snacks—with his unprepared friend. This fun, the educational short film shows how important it is to be patient, kind, and prepared for whatever comes.